The best wedding wear for you, beautiful Red embroidered lahenga choli with pure net dupatta. The skirt is beautified with floral and peacock feather design silver zari thread embroidery. Also the pure silk Beige border gives it rich look. 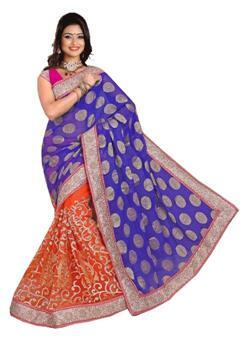 The blouse is also adorned with rich embroidery, zari and moti work. 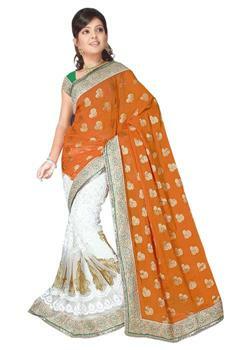 It is paired with contrast pure net Dupatta with same beige border as skirt.